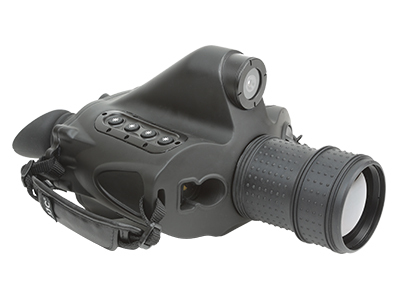 The Sii HB 100 handheld thermal imaging binoculars provide high resolution night-vision capabilities for surveillance, perimeter security, search & rescue, hunting, and other land and sea based applications. The Sii HB 100 enables human target detection up to 3,000 meters and vehicle detection up to 6,500 meters. These thermal binoculars will provide brighter and sharper images, day or night. Provides night vision capability for surveillance, perimeter security, search & rescue, and applications on land or at sea. The Sii HB 100 is an unmatched combination of excellent performance and affordability in a portable, lightweight device. For more information or a quote, contact us today.